Netgear has been on the market for long that they understand the requirements of consumers. What they want and how much they would be willing to pay for it. Which comes in as an advantage to the brand. Furthermore, a consumer is more likely to pay extra money to buy a reliable product than invest lower amount with a young brand. 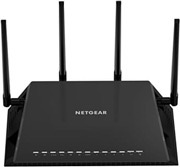 Let’s talk about why Netgear Wi-Fi router specifications. > Dual Band Gigabit with speed up to 2.33 Gbps. > Netgear claims that their router comes equipped with a fastest dual-core processor. > Twin USB 3.0 port and eSATA ports for faster and reliable wireless connection. > Four high-performance external antennas cover the maximum range. > Managing your home network is easy with a dedicated mobile app. 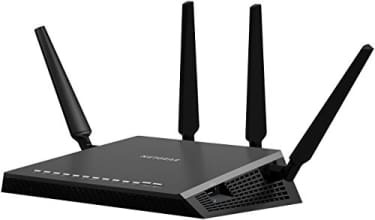 Netgear R7500 AC2350 Nighthawk X4 Smart WiFi Router full specs and reviews as of Apr 2019. Buy it here!